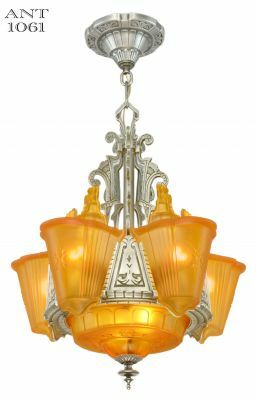 For a bit of history, we have to go back to the Depression days. 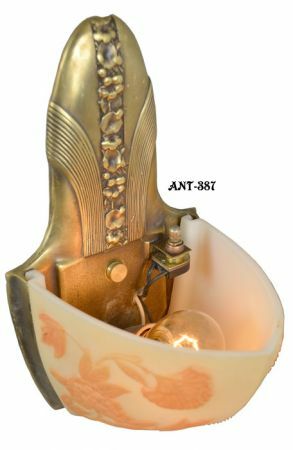 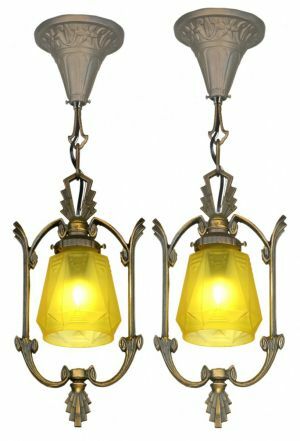 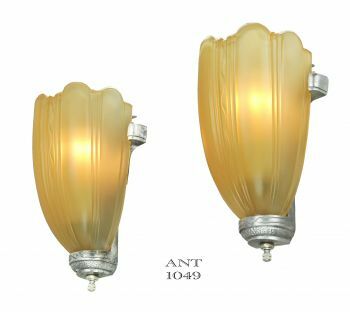 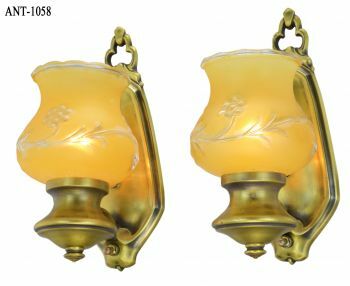 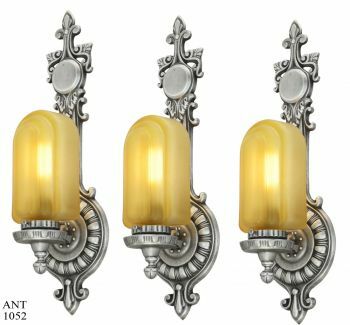 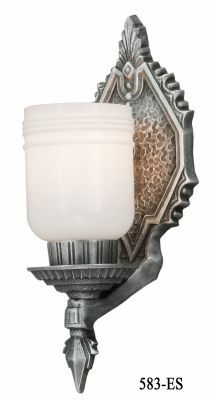 Moe Bridges and Consolidated Glass got together to bring out a fine line of cameo style fixtures to appeal to the very wealthy. 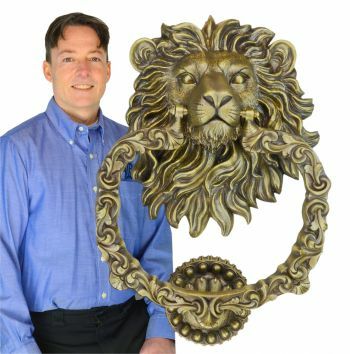 They got together for a collaboration, and just when they got things going, the bottom of the stock market fell out and the Depression came into full swing. 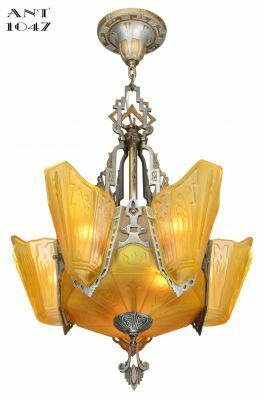 Consolidated Glass went bankrupt no less than four times during the Depression, and one of the product casualties was this family of fixtures. Saying all that...how scarce are these? 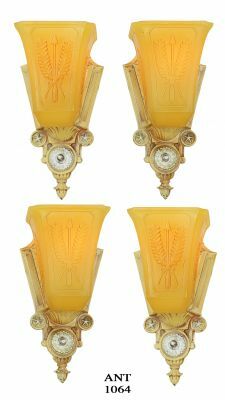 Every once in a while you do see a ceiling bowl, but more rarely, you find a pair of sconces like these. 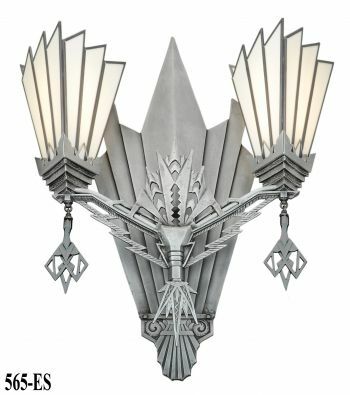 They also made a two light pendant but “probably” nothing else. 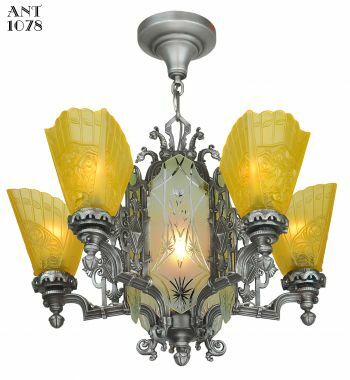 It could be guessed that a chandelier might have been in the making, but nothing exists in the literature for the design of one. 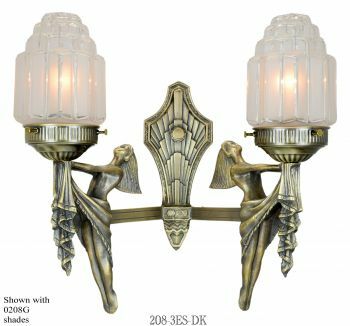 Even the literature for this pair of sconces is pretty rudimentary. 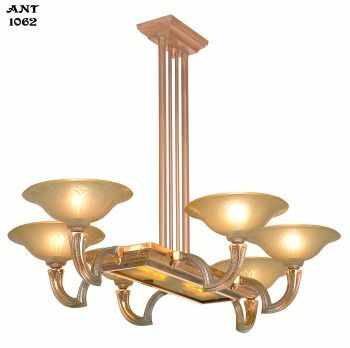 Projection: 6 ¾" from the wall into the room. 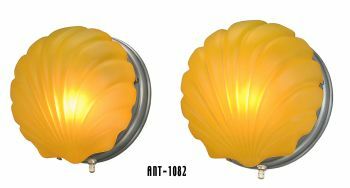 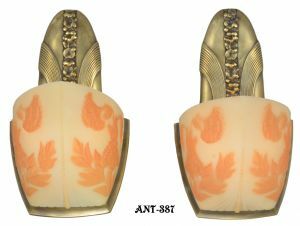 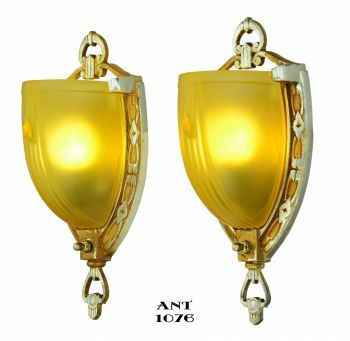 The sconces have electrical switches inside the glass shade for a smooth look on the outside. 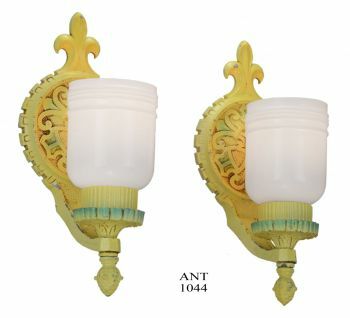 These have been completely re-wired, and new sockets installed. 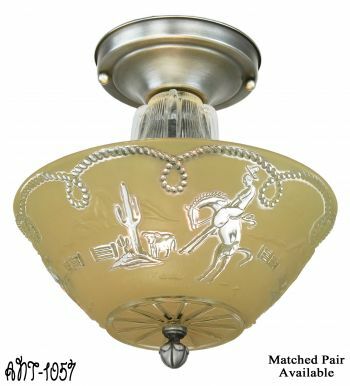 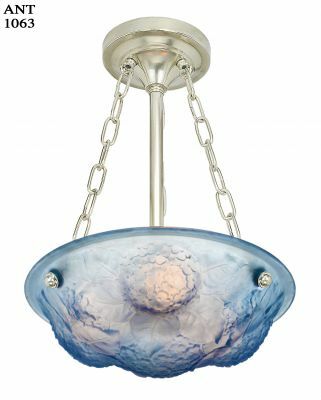 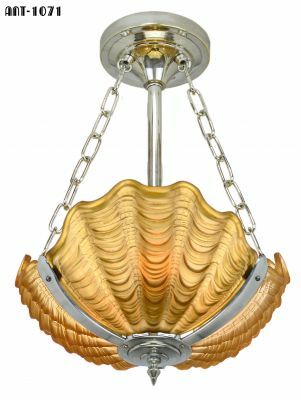 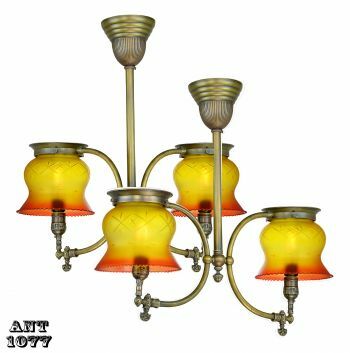 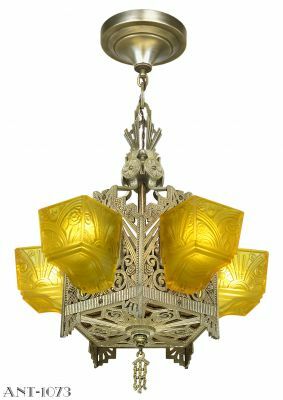 We would suggest using low wattage bulbs to protect the gorgeous antique shades. 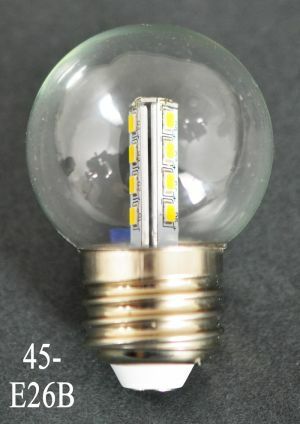 Really would prefer LED bulbs for a lower heat production. 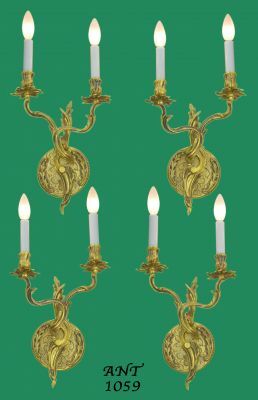 The frames are solid brass (possibly bronze? 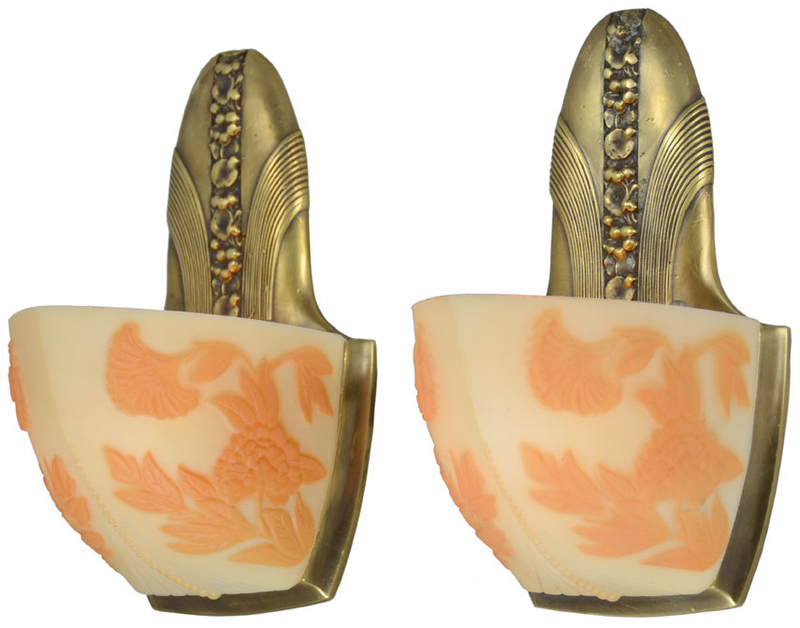 ), and in excellent condition. 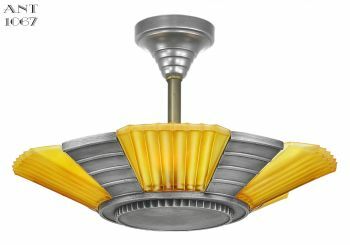 The fixture has been totally re-wired and is ready to mount. We will supply the replacement mounting crossbars and all-thread. 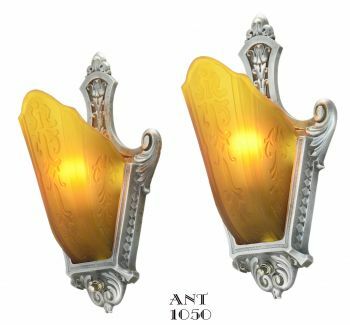 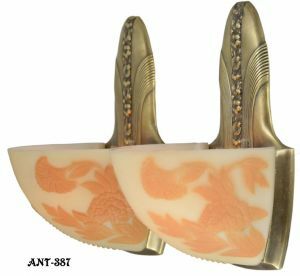 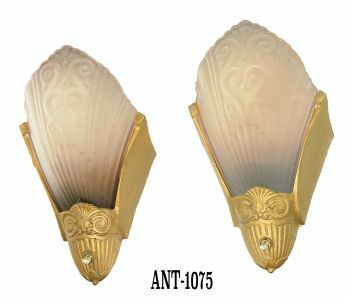 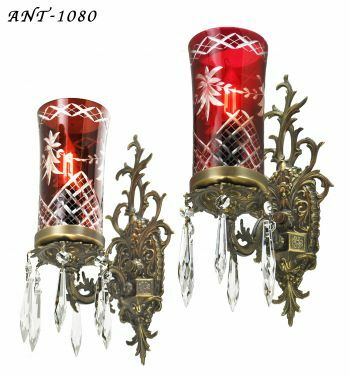 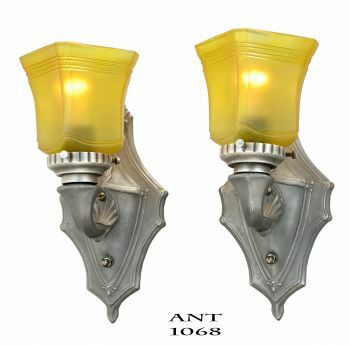 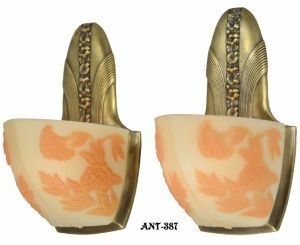 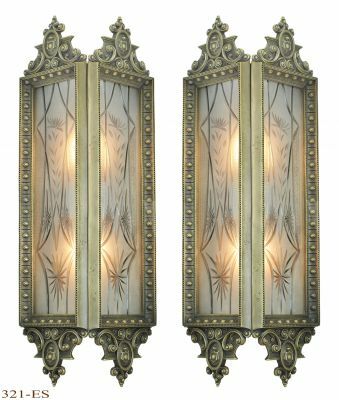 $1,250.00 for this “scarce” pair of sconces...plus very careful packing and shipping.